Actor Eddie Redmayne had a "catastrophic" audition for 'Star Wars: Episode VII - The Force Awakens', which "crushed" his "childhood dreams"
Eddie Redmayne had a "catastrophic" audition for 'Star Wars: Episode VII - The Force Awakens'. The 32-year-old actor admitted to having a particularly bad audition for an unnamed role in the eighth instalment of the science-fiction saga which resulted in "crushing" his "childhood dream". Recalling the embarrassing incident, Eddie said: "My 'Star Wars' audition was pretty catastrophically bad. There's this wonderful casting director called Nina Gold, who I absolutely love. "I said, 'OK, that's a childhood dream crushed.'" Eddie then explained how he also ruined an audition for the 'The Hobbit' as he tried to win the role of Bilbo Baggins, which eventually went to Martin Freeman. 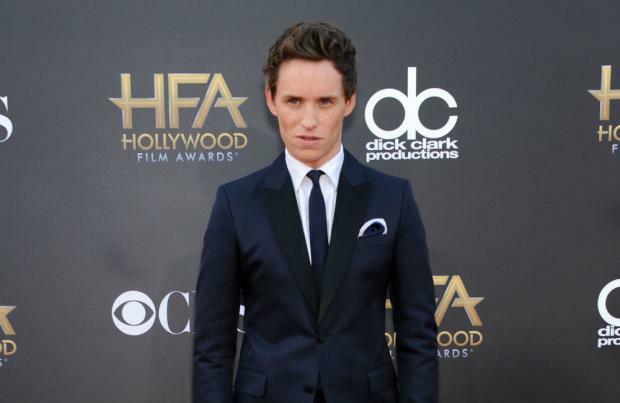 In a recent interview with the Happy Sad Confused podcast, Eddie shared: "I did a very awful audition for 'The Hobbit' too - trying to do my Bilbo Baggins impression." However, the handsome actor managed to successfully land a role in at least one science based movie. Next year, Eddie will join Mila Kunis and Channing Tatum in the space opera, 'Jupiter Ascending', which is due out in cinemas from February 2015.